Kenya doesn’t do small. It is Africa in widescreen. From the spectacular crags of Mount Kenya to the endless grasslands that play host to the Great Wildebeest Migration (starring two million herd animals) this is a country where drama comes as standard. Exploring the Maasai Mara in search of the Big 5 is an iconic safari experience complete with acacia-studded horizons, red robed tribesmen and that vast African sky. But that’s not all Kenya has to offer. There are highlands to hike and coral reefs to dive, urban life to enjoy and tribal culture to appreciate. Kenya is a destination that fast becomes an addiction. There are countless wonderful experiences to be had in this majestic country. For further inspiration take a look at the trip ideas put together by our trusted local experts at the foot of this page, but in the meantime here are our top three things to do in Kenya. Savannah, forest, ocean and lake are bursting with all creatures great and small, from the waterfowl fishing in the Rift Valley lakes, to the graceful giraffe stalking across the plains. 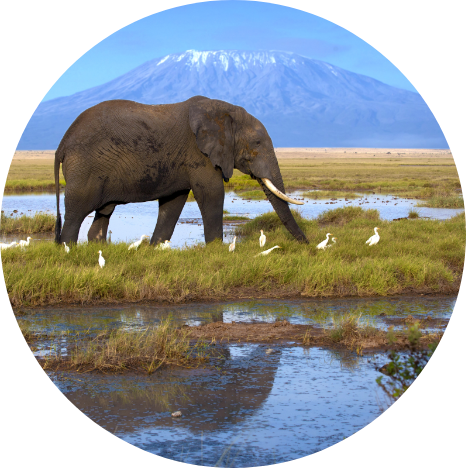 Kenya’s national parks are renowned as some of the world’s most impressive, filled with remarkable wildlife. The Masai Mara is the home of quintessential African scenery and big game, and for many it is the definitive wildlife destination, but Laikipia, Tsavo West and Lake Nakuru are equally deserving of your time. Admire the faded grandeur of the best preserved Swahili settlement in Africa where town transport still relies on donkey power. 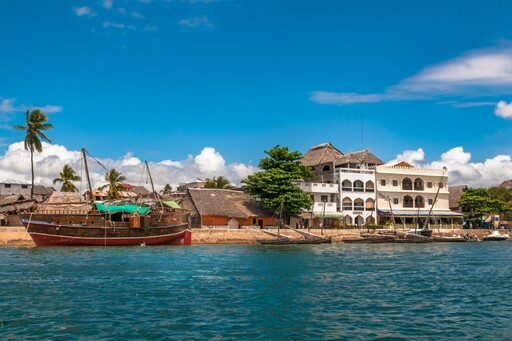 Centuries of trade with Arabia - and later, Europe - have left their mark, and Lamu old town retains an exotic air of seafaring adventure and commerce. Feel the cultural fusion all around you as you explore the labyrinthine streets where courtyard houses are constructed from coral stone and feature intricately carved wooden doors. Alongside the classic safari and beach experiences, why not delve into Kenya’s multifaceted cultural heritage, too? The rich patchwork of tribal customs is visible all over Kenya, and each separate tribe has its own distinct traditions, music, crafts, costume and dance. Among the most recognisable of Kenya’s tribes are the Maasai, Samburu and Turkana people, all of whom still closely observe ancient traditions. Gain an understanding of life in rural Kenya with a visit to a local festival, a tour of a tea plantation or a flower farm. 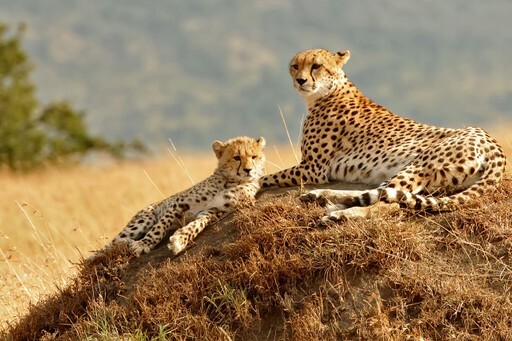 The best time to visit Kenya encompasses good weather and brilliant wildlife viewing, which is usually during the dry season from late June to October. Within these months the famous Wildebeest Migration reaches the Maasai Mara - arriving in July and returning to Tanzania in October. As well as being great for animals, the weather is fine and dry during these months with temperatures regularly hitting the late twenties. Viewing wildlife is possible in Kenya all year round, but differs depending on which parks you visit - January and February are the months in which every park has something to offer. Peak season is May to November when the weather is finest but parks are most crowded. Neutral season is December to February, where climates are milder but crowds lesser, and lots of animals and their newborns roam free. The worst weather is in March, April and May when the wet season fully hits and many parks and lodges close down. 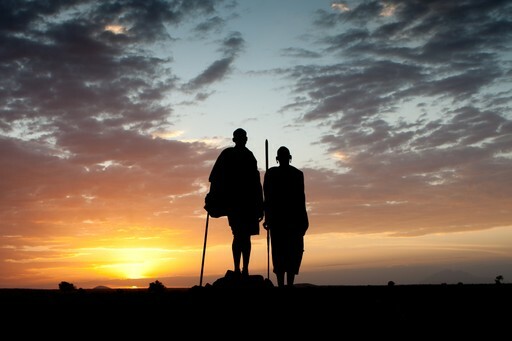 Create your bespoke holiday to Kenya!